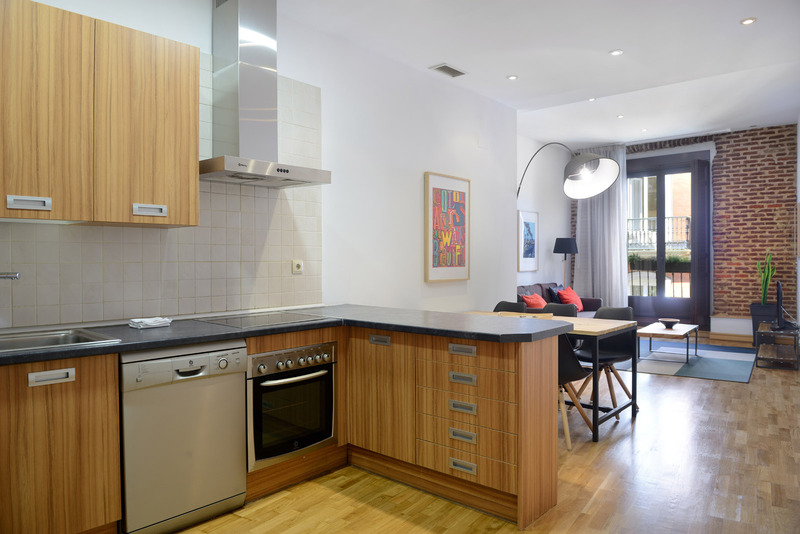 Stylish two-bedroom one-bathroom apartment in the central Justicia area. 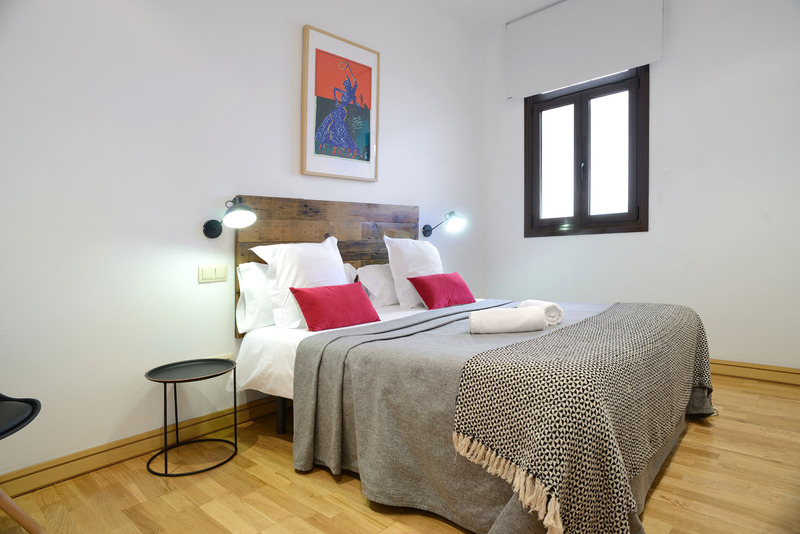 The first bedroom has a double bed, the second one has one single bed. 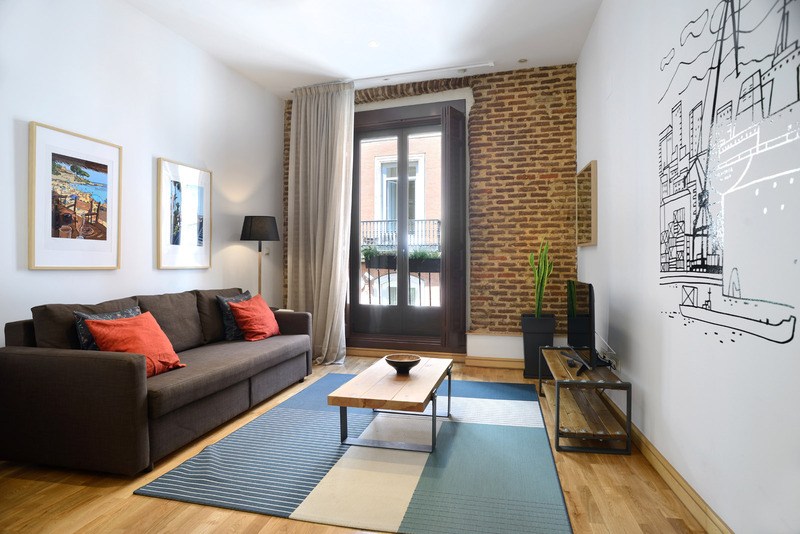 Moreover, there is also a sofa-bed in the living room, which offers space for two more guests. 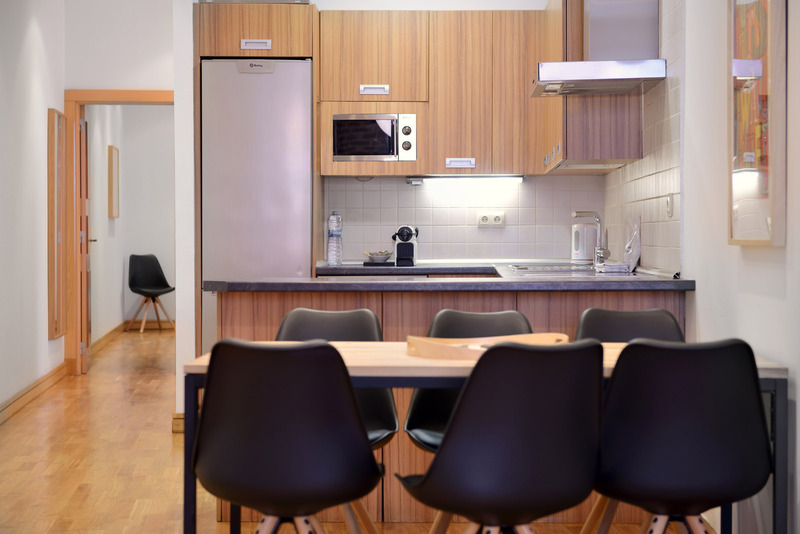 Thus, the apartment is suitable for five travelers. 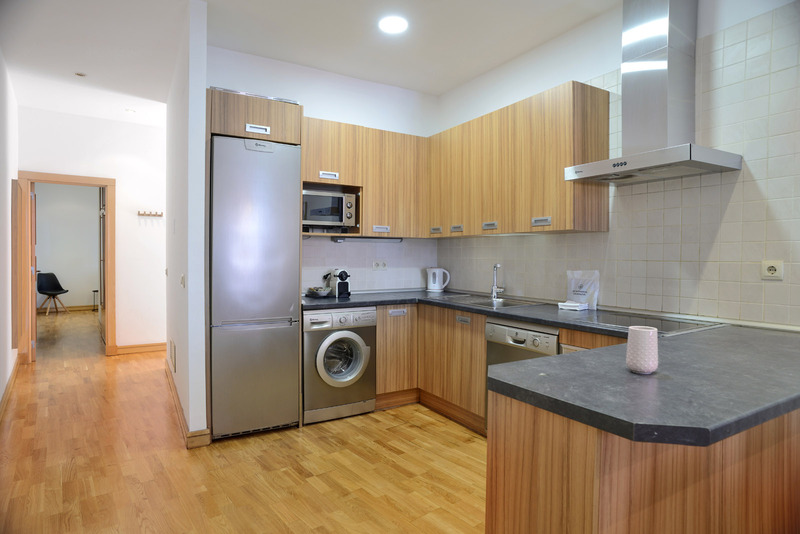 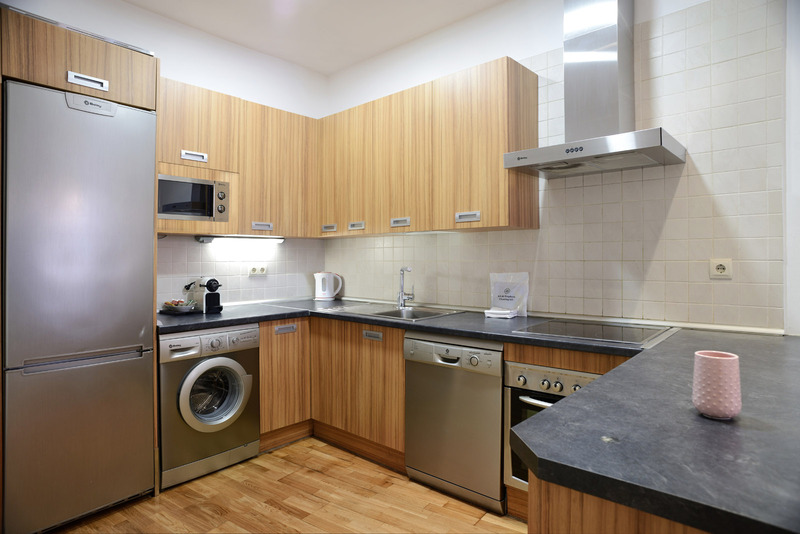 Free Wi-Fi, TV and all modern appliances are available. 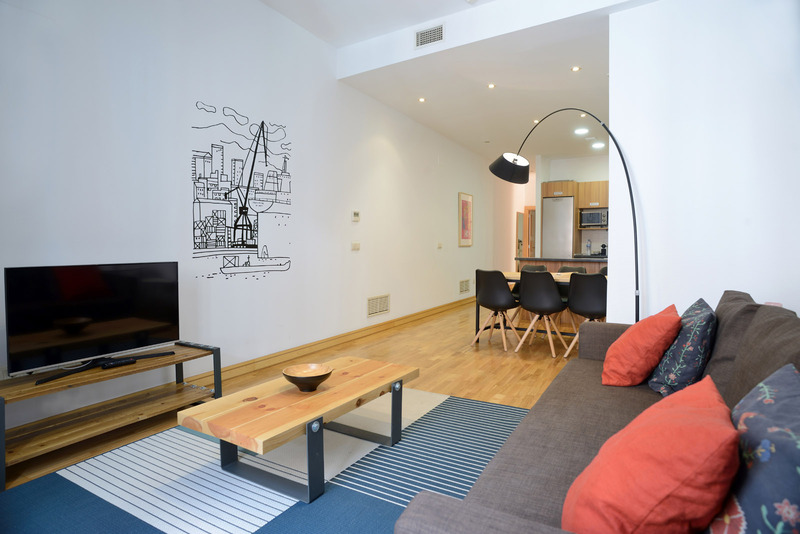 The apartment combines wooden floor & modern décor with stylish brick walls, and has also got heating and air conditioning. 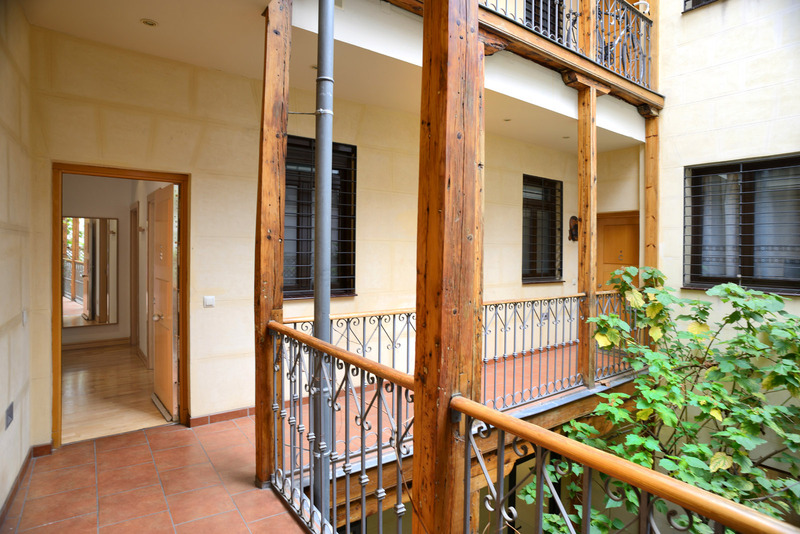 In addition, there is also a balcony which you can use to relax after having spent a day exploring the city. 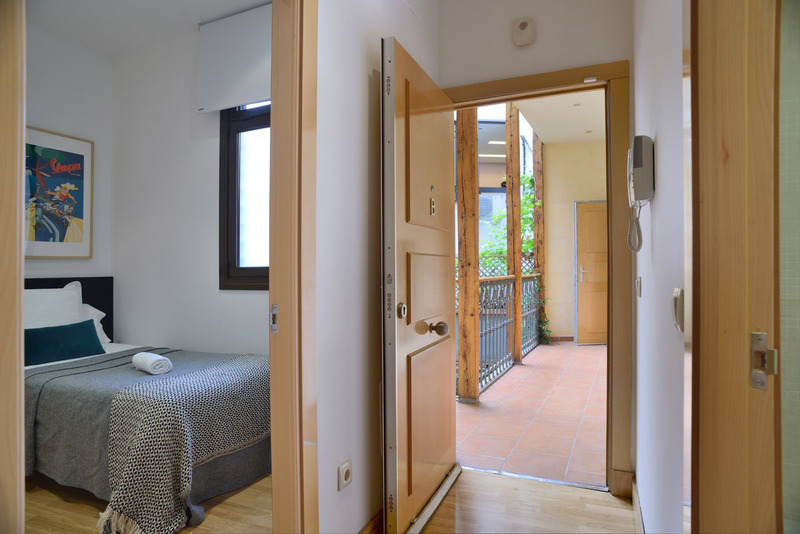 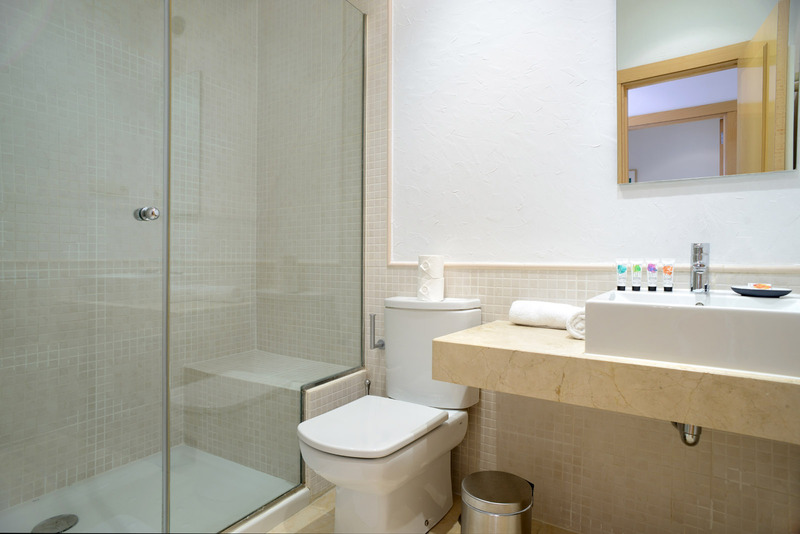 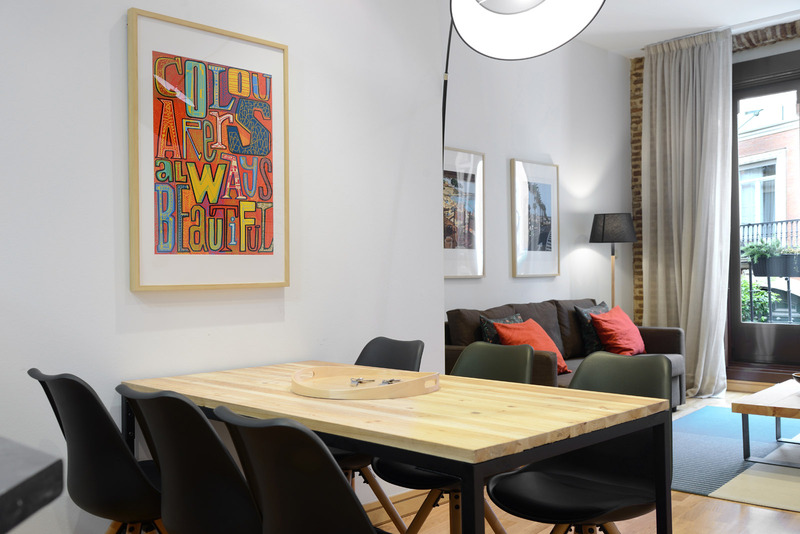 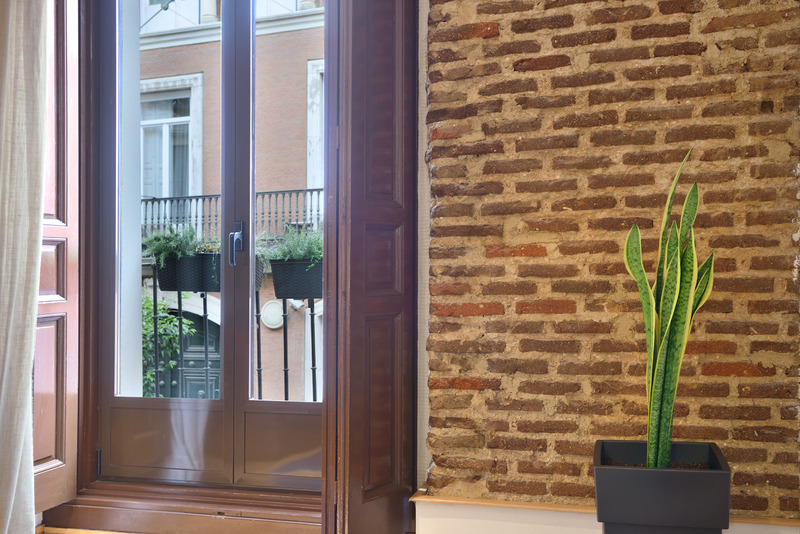 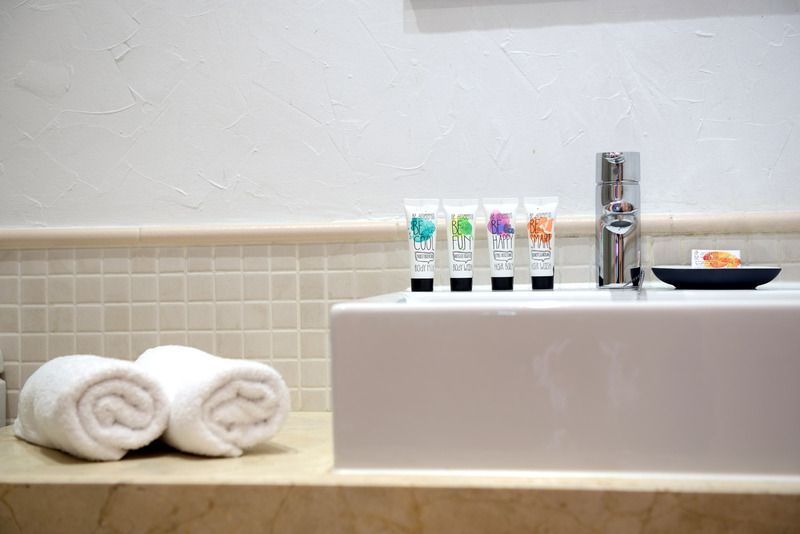 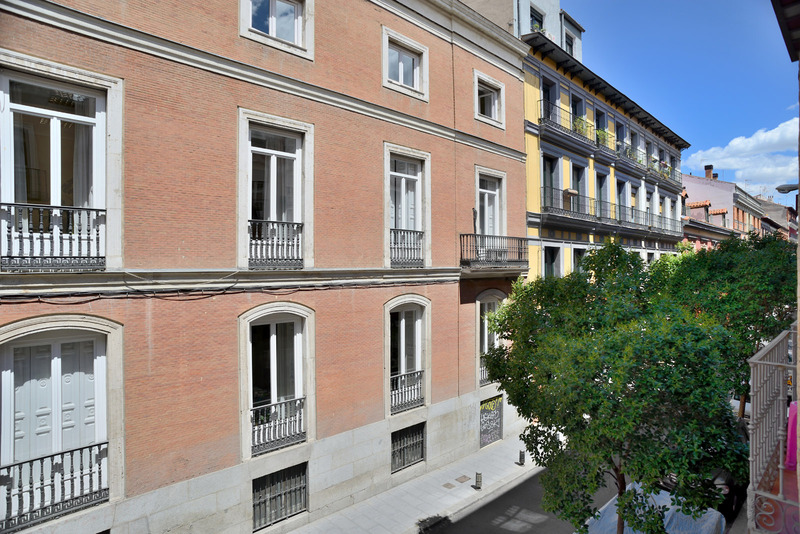 Enjoy your stay at San Mateo Boutique Apartments, the best place to relax and explore Madrid.